Age and/or condition preclude the ability for some to be active members of their Church community. Because of this, some may have not attended church for some time, leaving the feeling of being left behind. The Works of Mercy Initiative brings together leaders in Pastoral Care of participating parishes to collaborate on ways to address the spiritual needs of the homebound and those in area nursing homes and other adult care facilities. Opportunities for training, enrichment and support are offered throughout the year. You may know someone who is struggling with the closure or merger of their home parish, or may have been away from the parish for awhile for whatever the reason. Simply call one of our local parishes and speak to the contact person. We are excited to be able to welcome them back to a faith community close to their home, allowing us to attend to their needs, pray for their afflictions and help them to experience Christ’s healing touch. 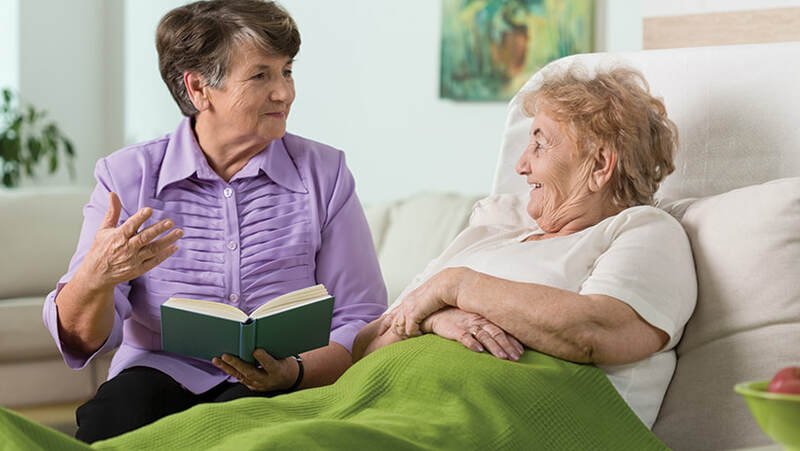 Those in Hospitals, Nursing Homes, Adult Care Facilities, Senior Apartment Communities and Homebound also need to stay connected so that we can provide pastoral visits for communion, reconciliation and Sacrament of the Sick. If there is someone in your family who is in one of the above situations, and requires spiritual care, please call your parish to arrange a pastoral visit.